Thiruvananthapuram (Kerala), [India], Jan 10 (ANI): Amidst uproar on the entry of women of menstruating age into the Sabarimala temple, a 36-year-old Dalit activist, Manju, from Kerala has claimed that she entered the hilltop temple and offered prayers to Lord Ayyappa on Tuesday. Pathanamthitta (Kerala) [India], Nov 27 (ANI): Woman activist Rehana Fathima, who attempted to enter Sabarimala temple in October, was arrested by the Pathanamthitta Police here on Tuesday for allegedly hurting the religious sentiments of people in a Facebook post. Allahabad [Uttar Pradesh], Feb 08 (ANI): Allahabad Municipal Corporation (AMC) has issued a notice in the name of late poet and woman activist Mahadevi Varma. Kolkata (West Bengal) / Hyderabad (Telangana) [India], November 05 (ANI): Women's rights activists on Sunday demanded quick action against a local Communist Party of India (Marxist) (CPI (M) leader, who was arrested for allegedly assaulting a pregnant woman in Kerala's Kollam district. Hyderabad [India], October 25 (ANI): Cross country woman bike rider Sana Iqbal, who had taken up the fight against suicide and depression by spreading awareness through her bike rides, died in a car accident on Tuesday in Hyderabad. 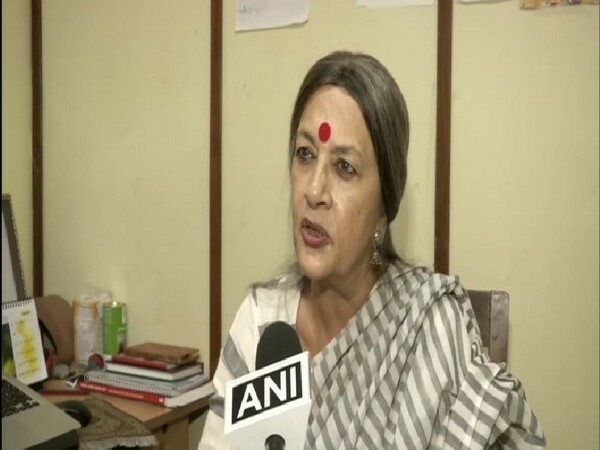 Bengaluru(Karnataka) [India], June 27 (ANI): Dubbing the Hyderabad incident where a woman was refused a room for being 'single' as regressive, women rights activist Brinda Adige on Tuesday slammed the patriarchal mindset of the hotel authorities. Mainpuri (Uttar Pradesh) [India] Apr 18 (ANI): In a gruesome incident, a woman was shot dead by a man inside a police station in Uttar Pradesh's Mainpuri, which has invited the wrath from women activists across the nation.